With the recent Betonsports saga still fresh in the memory, gambling and gaming companies are looking towards Europe, rather than America, more and more for future growth. With this in mind and with on and offline operations merging together it is with great interest that Bullet Business have launched a brand new industry meeting point that brings together the on and offline industries. Bullet Business Europe takes place in London Between December 6th and 7th 2006. Industry leaders such as John Anderson (CEO, 888), Mark Blandford (CEO, Sportingbet), Phil Fraser (CEO, Which Bingo), Matthias Hein, (Treasurer, The European Casino Association) and John Shepherd (Director of Corporate Communications, PartyGaming) are already confirmed to speak. Michael Setters, Global Events Director at Bullet Business explains, "Research indicated that there was a real need to bring the on and offline markets together across the gaming and gambling industry. The synergies are massively important and of course the expectation of the European market has been heightened in recent months making the event even more pertinent". The event offers a unique structure of 6 different summits, conferences and workshops including: Poker, Land Based Casinos, Online Bingo, New Product Development, Marketing and Legislation. Two day, one day and workshop passes are available. It's not work, work, work though. 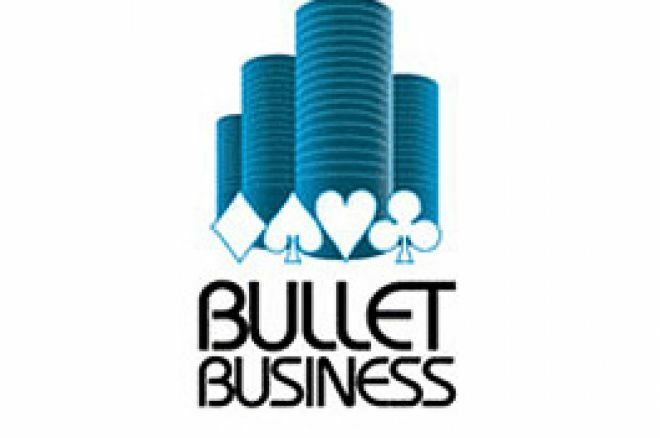 The Bullet Business Xmas Party will include a Charity Auction supported by Gamcare and the 2nd annual Industry Poker Tournament. Online qualifiers are now taking place at the Bullet Business web site.